Eagles Win Ugly, FT 16-45 over Brazil. When it comes to how the Eagles have played during this Americas Rugby Championship we've seen the highs and the lows. 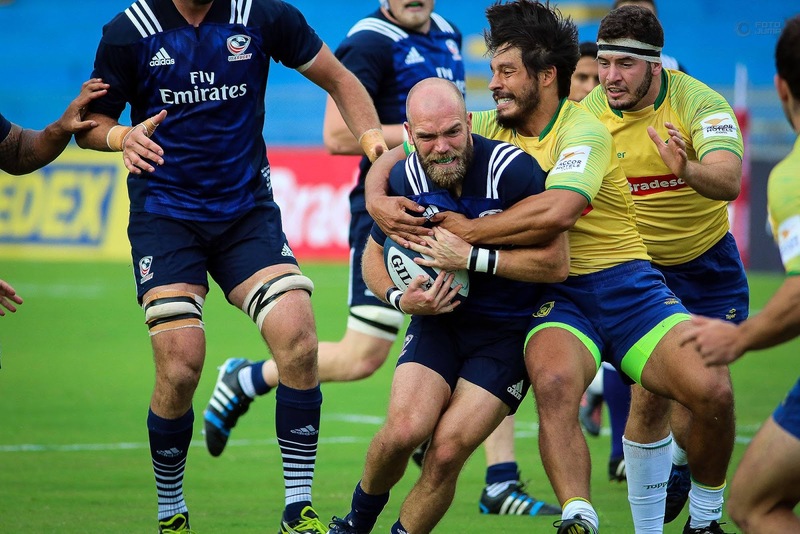 The best performance was served up first against Argentina XV at the StubHub Center in Los Angeles winning 17-10. We've not regressed, but the long tournament is starting to take its toll. The bye weeks that the Six Nations have are starting to make sense. A five match tournament in as many weeks is a meat grinder for any National Side attempting to repeat a championship. Recapturing this match really doesn't go where we need to go for the moment. But rather, let's observe where the program was two years ago. Two years ago, off a poor World Cup Campaign and under a new Head Coach the Eagles never thought Brazil would be a threat. And yet they were, Los Tupis upset the Eagles that day. Fast forward two years and the Eagles have continued to blood new players into the Eagles Training squad. They're under the direction of a new head coach again. This parallels the ominous trip of two years back, how far have Eagles journeyed since that day? The answer is complicated. Many in the squad that day have moved on. The only starter from that match to start this time was Ben Landry, the only players on the Bench from that match that played and started this time were Hanco Gemishuys and Mike Te'O. To be fair, a few players were a part of this ARC Campaign and have remained in the Eagles Training Squad within the last year in Ryan Matyas, Joe Taufete'e, David Tameilau, and JP Eloff. That day two years ago was full of adversity. The Eagles did not respond well that day. In contrast the Eagles responded pretty well this time when things got ugly. During the first half the offense was clicking and scoring with tries from Mike Te'O, Huluholo Moungaloa, Bryce Campbell, and Hanco Gemishuys. Yet the penalties seemed to rear their ugly head and as a result, it gave Josh Reeves two shots on goal in the first half, though he only converted one. Los Tupis engaged a multiple offload game, Moises Duque found himself receiving an offload from Roberto Tenorio after exploiting the hole in the Eagles Defense. In the second half the Eagles found themselves on the back foot after conceding penalties to Brazil and giving Reeves two shots on goal, which he converted bringing Brazil within ten at '62:40. Nick Civetta Received a Yellow Card for a dangerous tackle that contributed to that tally. The momentum shift occurred when Tony Lamborn was kicked in the face by Diego Lopez. This evened up the pitch to 14 on 14. The Eagles sensed the blood in the water and began their attack in earnest. Tony Lamborn exacted revenge with a try only moments later. In rapid succession you could see an awareness from the Eagles, ball handling stopped affecting them as Josh Whippy took a pass to the face but offloaded it to Paul Lasike who is becoming a try scoring machine. Minutes later Hanco Gemishuys took in his second score of the match following offload from Whippy whom had just caught the offload from Bryce Campbell. Although this match was ugly, this match was ugly, it shows how much the Eagles have grown over two years.